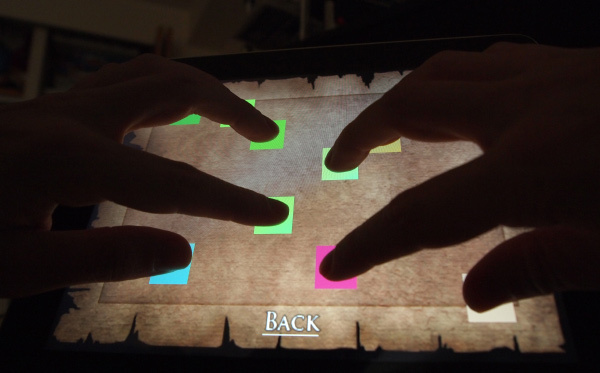 So I’ve got this game prototype idea I wanted to try but I needed better multi-touch input support (accurate and comprehensive fingerID tracking) to make it happen. It works great and has been added to the Proton SDK svn along with a new “Multitouch input test” option in RTSimpleApp. Impossible to confuse it with fast movement, sliding off the screen or fast button mashing. Solid! //found a touch. Is it already on our list? This entry was posted in Development/RTsoft, Proton SDK, Tech Tips on January 5, 2011 by Seth. I just cast the pointer to an int, and use that as the “finger_id”. Yeah, that works. But if you want to know how many fingers are down, the order they were pressed or be able to put finger data in static 0-10 arrays you’ll have to do some housekeeping at some point. That’s true. To track multi-touch gestures I’ve had to do some pretty hairy stuff. Thanks a ton for this, it was of a lot of help, even though I had to change a lot of it since this does not appear to be Objective C as far as I can tell. But just the idea of using array of pointers was all that was needed. Thanks! Sorry for bringing up several years old thread to life, but thanks a lot, this was very helpful. I’ve noticed on iPod 4g that all touches are immediately cancelled once my sixth finger is down. Was that the case for you as well? thank you for posting this code!